Hello from Yuka. Do you remember about this book I introduced in our past newsletter? I was so impressed by this book (Social Life of Kimono) written by Sheila san. 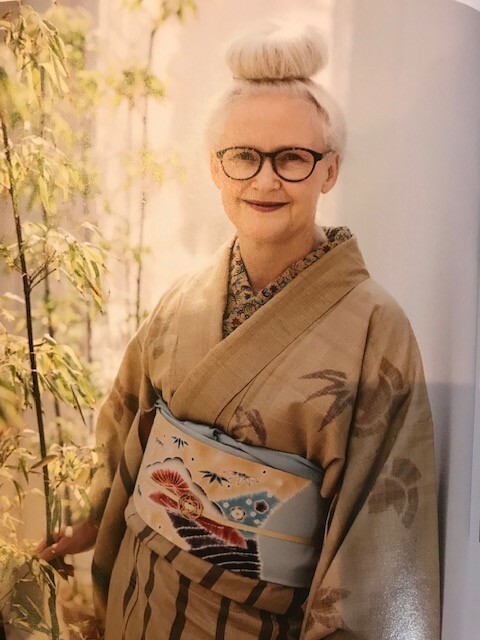 The book was based on her research of kimono world, she covered not only the history and present situation in kimono industry in Japan but also the movement of kimono wearers both in Japan and all over the world. This time I would liketo introduce her new book, which is totally different from the previous one. 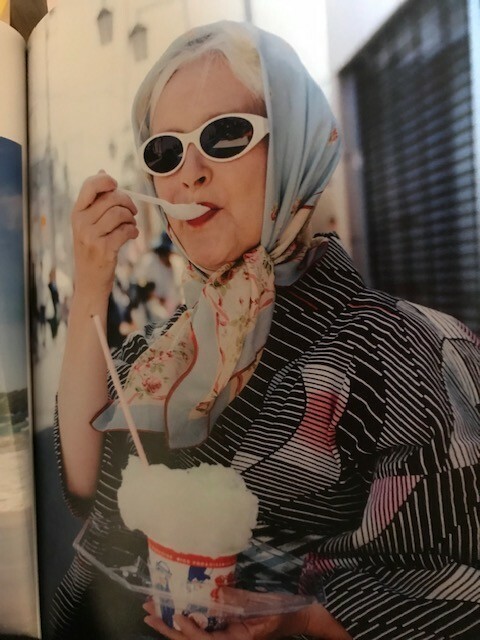 The new book is her kimono style book with full of photos taken by her friend photographer, Todd Fong. 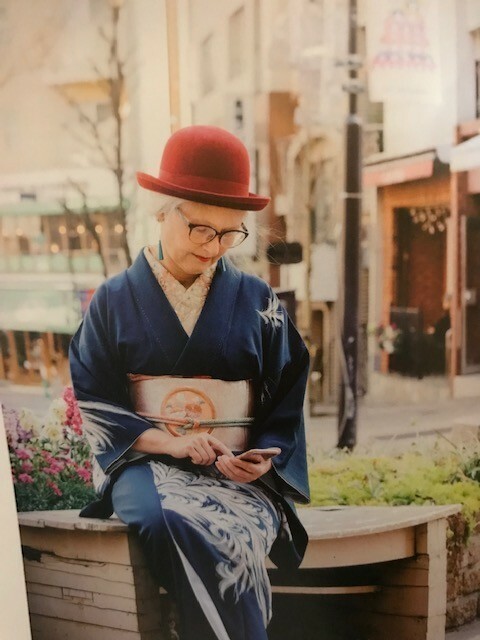 The photos were taken in her neighborhood or near her university (she is a professor at Jumonji Gakuen Women's University), so they look supernatural, and we can tell she is really enjoying kimono in her everday life. Why did she published this new book? Each photo shows her own kimono coordinations. We felt so happy and honored, she wore many obi and kimono from Ichiroya too, including the furisode she is wearing (the photo on the top). 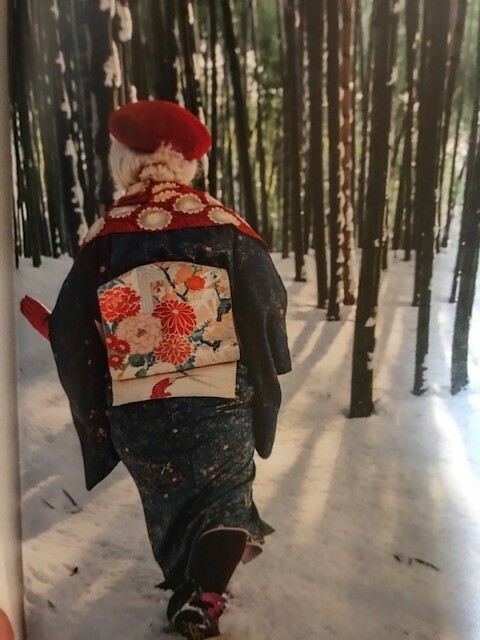 She wears kimono almost everyday, here are some photos from the book and you can see the changing of the seasons by her coordinations. I like the photo of her in furisode (on top) with her beaming smile but also I like this photo too, it is a real natural scene from everyday life. 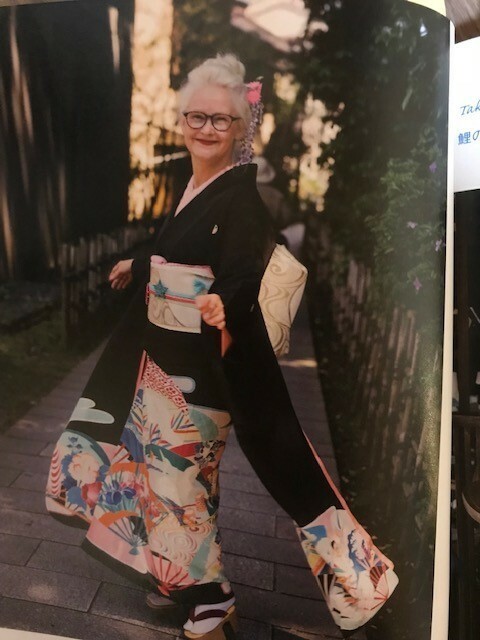 Each style has flow and her love of kimono is showing! She loves both old and new kimono- she treasures kimono from Meiji era(Meiji 1868-1912) and also tries punk kimono fashion with leather belt. In her previous book, her research and the viewpoint of kimono in social life showed us the reality of kimono. As you may know, we tend to have fixed idea about our own culture. Kimono were aound and the existence of kimono is getting less and less as time goes by but oh, well, that's what happens-that kind of mood is what most people have, I think. Sheila calls herself 'a kimono trend hunter'. To spread the information, she started her project called `The Kimono Closet'. She is examining the kimono closets of fifty Japanese women from their 20s to there 80s. She visits their homes, count the numbers and types of kimono, note where they came from and how they are stored. Besides that, she asks participants to tell her their problems with kimono life and the stories of kimono that have special meanings for them. Not the annual kimono sale numbers but she is collecting the real voice from the individual's closet! That must tell what is really happening. 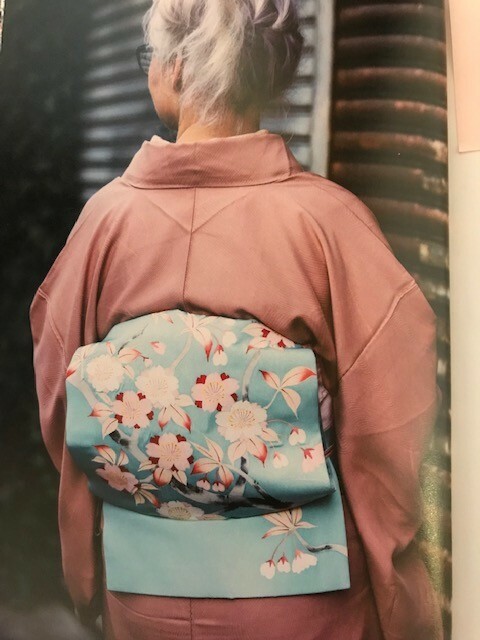 We have this contradiction - kimono are pretty, precious and have memories of mothers, grandmothers but kimono are not really convenient, nor easy to wear (needs a lot of care!). 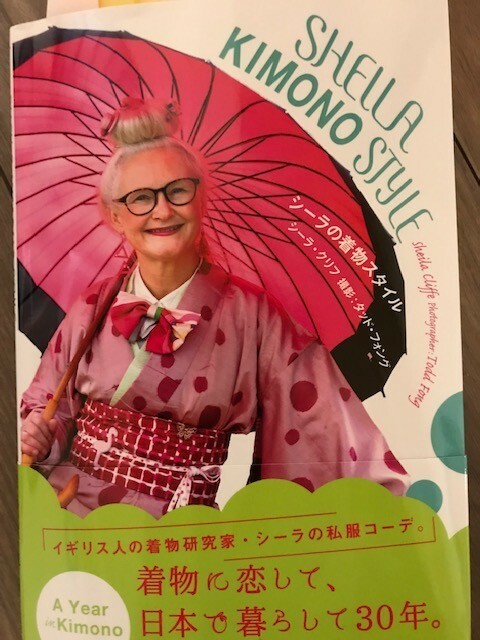 Her book is inspiring and fun to show kimono as fashion. A young girl who was not interested in kimono at all, saw the book and says `KAWAII!!' For her, the book was a fun fashion book. I am sure you enjoy the book, and in between photos, she writes her message very clearly both in English and Japanese. Enjoy!